Water tankers are big business in India today. They carry water to areas/colonies which do not get adequate water. It is believed that a water mafia is in operation (in cahoots with the municipality) which perenially keeps areas short of water so that these tankers can sell water to the water shortage areas. 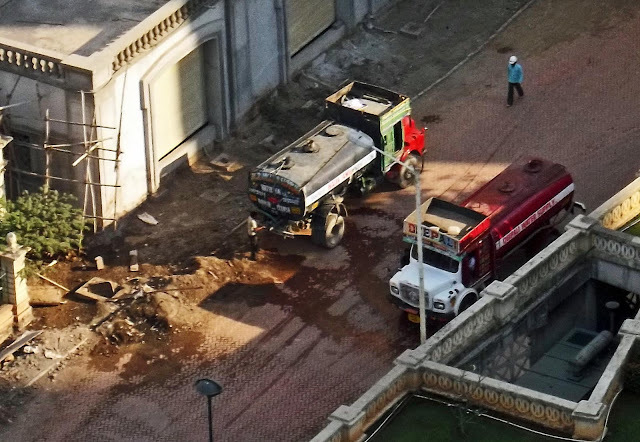 It is ironic that water tankers deliver municipal water which the municipality sells to them! Many of the owners of companies which ferry tanker water are the politicians themselves! 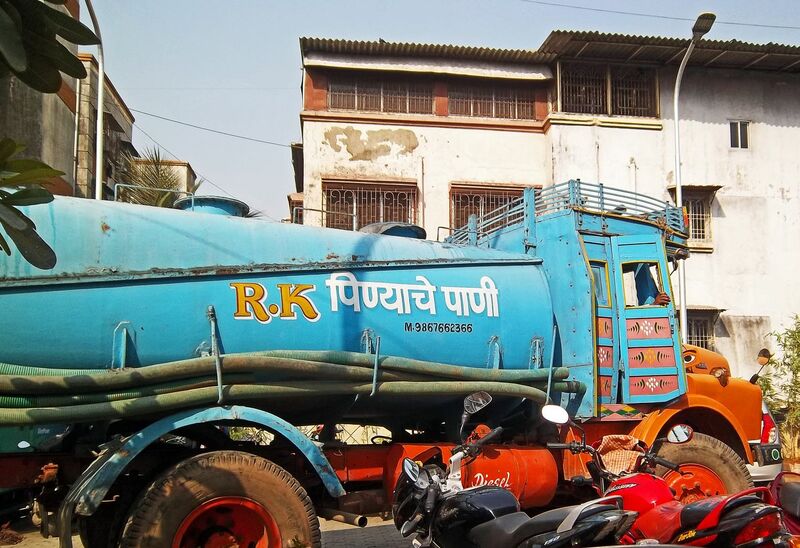 These water tankers sell water to building and societies at a high price. The municipality water is sold as "drinking water" while other types of water is usually well water used for other purposes.